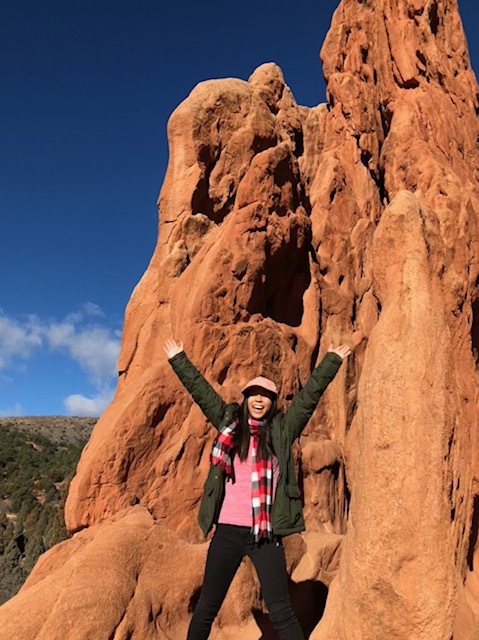 At the eastern foot of the Rocky Mountains, a dull cluster of houses, mud-yellow fields, and indoor shopping centers make up my mother’s new home away from home. A year ago, she reluctantly abandoned the cosmopolitan jewel of San Diego for the monotonous asphalt city of Colorado Springs, the result of a hapless business contract that took her from her family and left her with nothing but an air mattress as consolation. At 17 years old, I have never experienced what it means to leave everything I know. My parents, unfortunately, did not have that luxury; this was simply part of a decades-long family history that continues to shape our identities today. My father was uprooted from his homeland in 1981. As one of the Vietnamese “boat people,” he escaped a war-ravaged country where law ceased to exist, poverty plagued the nation, and violence ran rampant. He arrived in the states, aged 25, with broken English likened to his heart. Ten years later, my mother, a young Chinese woman with little money to her name, came into the picture. They were strangers in a foreign land, each chasing identical American Dreams with feet pounding to the thundering drums of a lion dance, bodies tugging fiercely at the ties that bound them to the countryside. Together they built a future upon the foundations of stale jasmine rice and burnt coffee grounds. With wrinkles forming on their weathered skin, they finally saw their dreams manifest themselves in the sheen that formed on their foreheads. Sweat became their livelihoods as they raised three daughters and struggled to keep their own culture alive in an apartment building where the culture was to assimilate or leave. My father never once left my mother’s side. 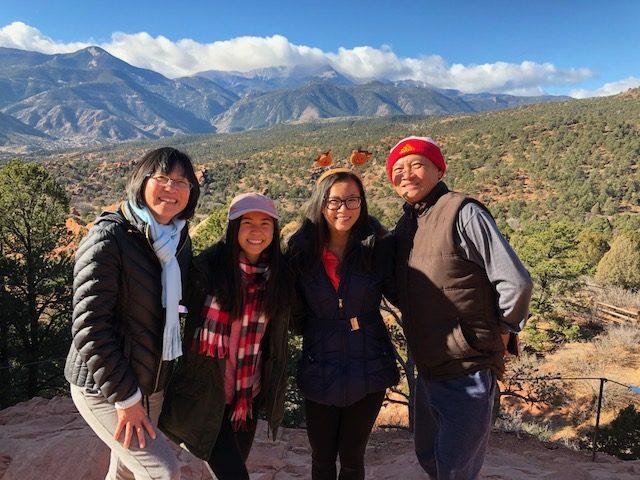 When the doctors cut her open and extracted the cancer that had made a home in her uterus, my father was on the next flight to Colorado, where he gave her his strength while she recovered. Two months after my mother’s surgery, I visited her with him. 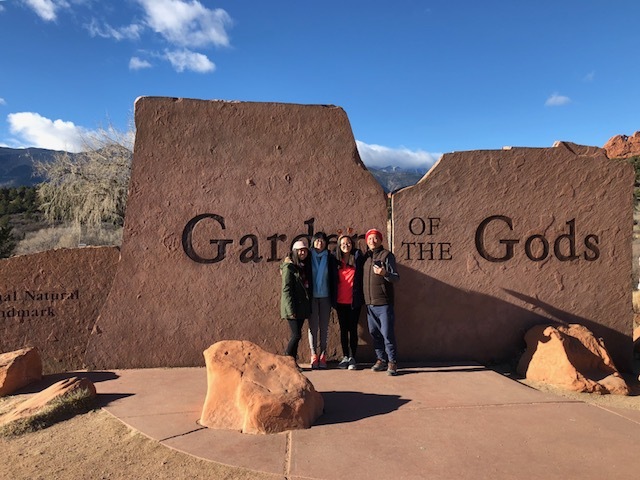 Wearing gentle smiles on our faces, we entered the Garden of the Gods, a natural treasure overlooking a sharply chiseled Pikes Peak at the edge of town. It was a refreshing scene compared to the humdrum air saturating the rest of the city. 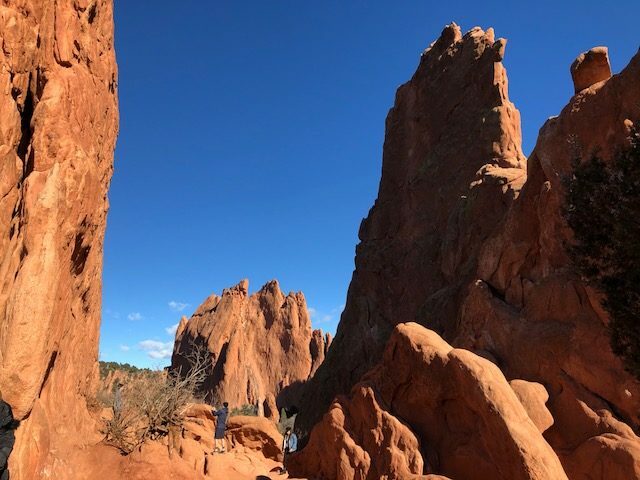 Fledgeling rays of light illuminated our faces in a golden glow as we marvelled at sandstone rock formations jutting out from the wrinkled landscape. Suddenly, a hushed appreciation pervaded my parents’ gaze. They saw me rise to meet the mountains at their peaks, a few years from now, college diploma in hand, shouting “I made it” atop the pillars of success that they had built for me. Far off in the distance, I was living in the elusive dream that they had imagined thirty years ago. Meeting their humble gaze, I saw in their eyes the fire that they carried with them in their hearts all these years, a symbol of their resilience and spirit in the face of incredible adversity. Once an intangible flicker was now a dancing conflagration, flames licking the edges of the red-tinted rock and surrounding us in the warmth of a legacy untold. Within my mother, the fire fills the empty space in her pelvis and radiates its strength throughout her body. Remembering our lives back in San Diego, built from the same glowing embers, I felt myself shiver, noticing the fire spread, further and further, until it breathed life in my own chest. Looking up at my parents and seeing my future in their golden complexions, I welcomed the fire that created me.